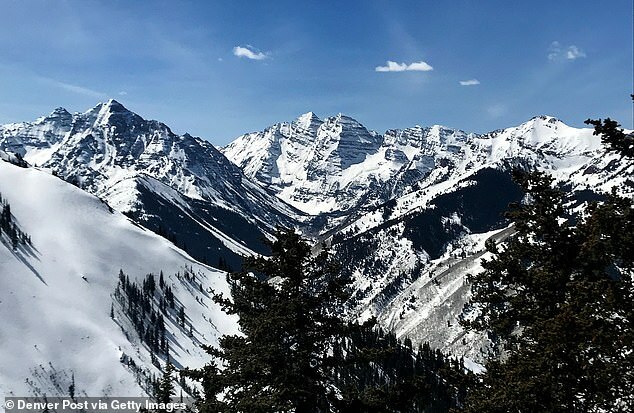 A male skier has been killed in an avalanche outside of Aspen, Colorado. 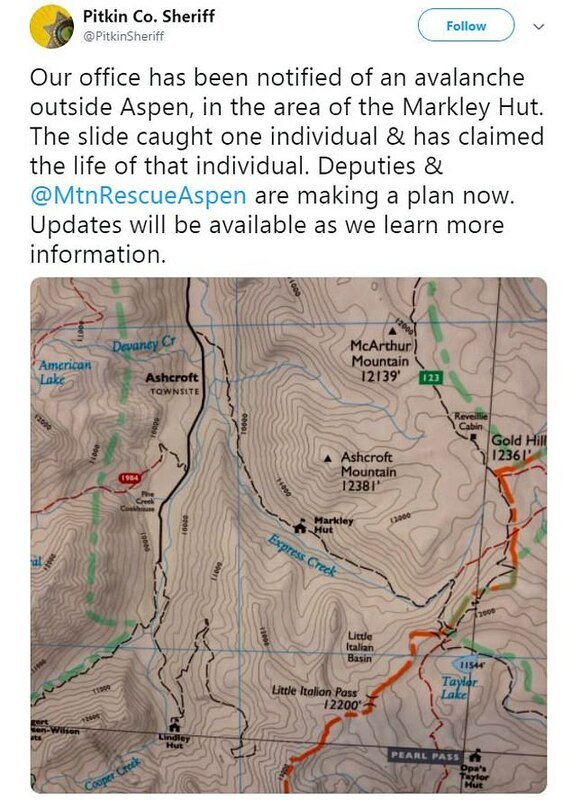 The avalanche occurred shortly before 10.30am on Monday near the Markley Hut – a back country area south of Aspen. Authorities have not released the man’s name or age. He was skiing with five family members when he was overtaken by the avalanche. The man’s family had to dig him out of the snow and perform CPR. He died before first responders arrived. Authorities responded to the area to help evacuate the man’s family members. They will also work to retrieve the man’s body from the mountain. 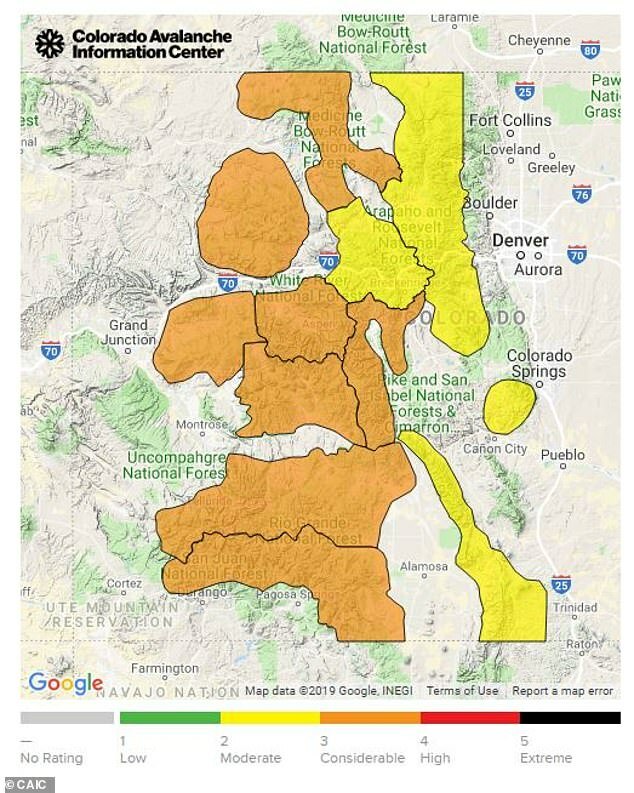 The Colorado Avalanche Information Center had issued a special avalanche advisory that was set to remain in place until Monday night. ‘Avalanche conditions are dangerous. Backcountry travelers can easily trigger very large and deadly avalanches,’ the advisory said. ‘Avalanches may break across terrain features and run long distances. The center has documented 10 people caught in avalanches since January 11 and 44 avalanches triggered by backcountry skiers.